SmokeTalk is launching a public forum for the smoke shop industry along with a private forum for the smoke shop owners, manufacturers, distributors, and industry leaders. This will be a free service offered to bring everyone together on issues such as law enforcement and general discussion. The SmokeTalk forum will also be a great place just to hang out and discuss off topic matters. We have added a "Forum" link in the menu or you can visit SmokeTalk.net/Forum. Smoker's Paradise in Knoxville is having a grand opening on 4/20/13 and nearby church has a problem with it... Go Figure! As usual, the church folks thinks a smoke shop brings crime to the community and owners of Smoker's Paradise deny it. Owners claim that their store will not tolerate any misused words that refer to any drug related uses. 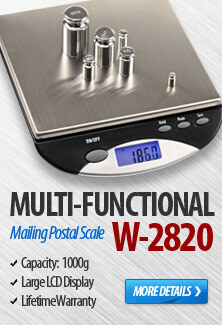 WeighMax Scales, the only direct manufacturer of scales in the US, introduces the New Rasta and Ninja Scale! With over Ten Years of distributing and over 30 years of manufacturing, the new product line is far-more mesmerizing in design and one of a kind in comparison to the common scales on the market. Every scale is calibrated to assure 100% accuracy and is backed with a Ten Year Warranty to guarantee “peace of mind” with every purchase. With the industry coming to an all-time “High,” Why not bring some life to your scale? This is crazy, trying to ban bongs and pipes from retail sales? Legislators claim that if Floridians can go to Alabama and Georgia to buy fireworks, why can't they go there to buy pipes too? A state wide ban on water pipes means millions of dollars wiped out from tax revenue. Not to mention all the head shops who rely on these products to make a living. 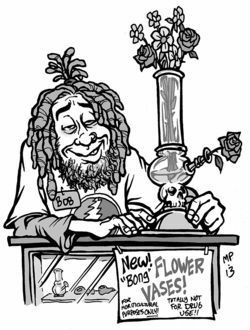 I guess pipes will be sold as flower holders eh? Kratom, or mitragyna speciosa, is a tropical tree native primarily to Thailand and Malaysia. For centuries the leaves of the Kratom tree have been carefully cultivated for a myriad of uses, because some kratom effects have been found to have supposed benefits in the practice of herbal medicine. The leaves can be chewed, smoked, or made into a tea. Capsules containing the extract of Kratom are easily bought online, sometimes erroneously or fraudulently sold under the misnomer kratom. The scum of all smoke shops. Renos Greenest Headshop was busted for selling bathsalts and herbal incense, and now the owner's brother is in jail for it. When offered help, Renos greenest headshop refused for help and asked for $5k just for chatting with them. Smokeshops such as Renos greenest headshop should put a lock on their door and go out for business for good to prevent a bad name for smoke shops everywhere. They then preceded with racist comments and threatened us to shut down our website. Good Luck to Renos Greenest Headshop!